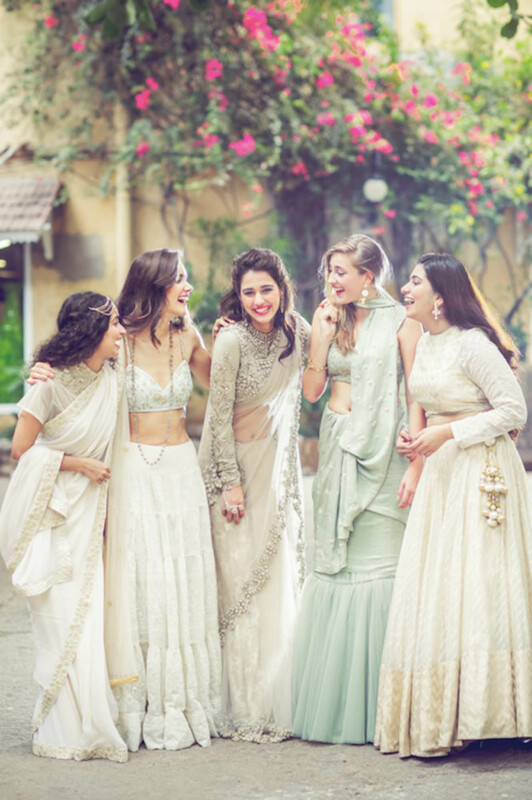 Up until this point, we have determined that planning a modern Indian wedding is a challenge to say the least, but involving people like your better half and bridal party can make a huge difference. Whilst not every task will be planned together, some aspects will require teamwork. Assigning roles and responsibilities from the beginning of your wedding planning makes your job as the bride to be a whole lot easier. Thankfully for you, we have come up with systems here to categorize all roles and responsibilities for your wedding party. If you are anything like us, you’ll know that we have a love for utilizing various tools to systemize and automate any wedding planning project. The same should apply for delegating roles to your wedding tribe. Believe it or not, simple spreadsheets, planners and mobile apps can save you time and money. Below you will find some important categories for which you can assign to certain members of your wedding party. All of the following joint tasks are going to be fairly straight forward as you’re working on them with your better half. However, planning these aspects of your wedding will involve lots of scheduling. Coordinate time over the weekends with your beau over 3-4 months. It’s time to impress each other and watch your love grow stronger during this period. The number one priority will be to set your budget, which then leads onto choosing your wedding date, the venue and style of your wedding. There are no rules as to what role and responsibility you take on and in which order, but you can use this as a guide for your own wedding planning. We have of course included the parental discussions in here because not only do we love them, but they most likely will be contributing to most of the costs as well. So put aside some time to discuss the details. As the blushing maharani bride to be, your role and responsibilities should be kept to a minimum. One of the most important aspects of wedding planning for a bride includes choosing her bridal trousseau. Several weekends will go in sourcing the perfect jewellery and outfits for all pre-wedding and main day events. Ask your groom if he would like to be involved in shopping for his outfits. Often we as brides are particular about what our man wears. In the end, everything must tie well together and he should complement your look. Bridesmaids will also be something to think about if you are choosing to include them on your wedding day. Also don’t forget bridal beauty appointments such as facials, spa treatments, manicure, pedicure, hair and makeup trials. The modern day groom is more style savvy than ever. Grooms have come a long way from just being a groom and with thanks to magazines and online publications such as GQ, our grooms are starting to take notice of the details in our weddings. Gone are the days where our weddings are all about the bride. Grooms have just as much swagger and this is where elements like your watch, down to the quality of the shoes, your reception party suit will become a focal point. Who says spa treatments are only reserved for the girls too? A bridesmaid holds an important role in wedding planning. She is entrusted with key roles and responsibilities to help make all your wedding occasions special for you and your beloved. Tasks will include organizing the hens party, arrange for fittings with other bridesmaids, help keep things in order on the wedding day and more odds and ends leading up to the wedding day. Like bridesmaids, groomsmen also have various roles and responsibilities. 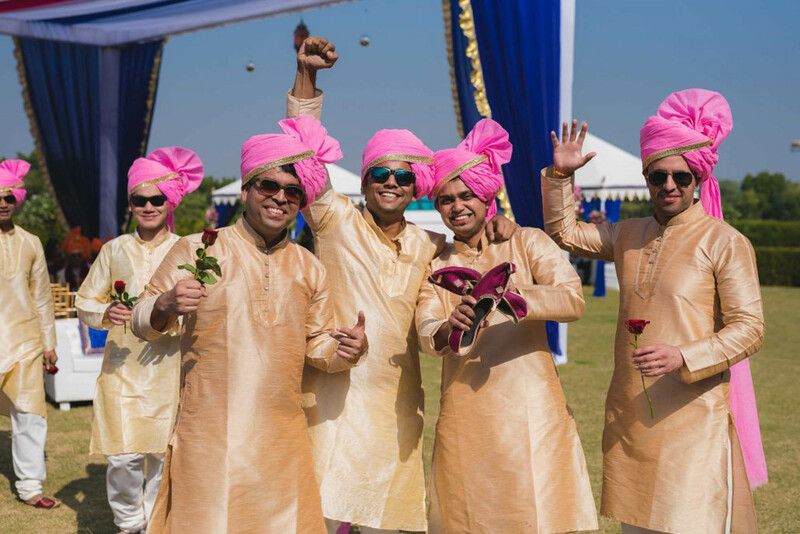 Depending on the style of wedding, groomsmen may have to assist with small on the day wedding tasks such as helping to guide guests with directions and give them details as well as help suppliers. Some couples will hire the services of a wedding planner, coordinator or stylist, which in that case would mean fewer roles for the groomsmen. Always delegate tasks to groomsmen to avoid any confusion. Traditionally, the brides parents cover most costs of our weddings, but nowadays opinions are shifting and the times they are a changing. Costs are evenly distributed between both parties or even covered between the bride and groom themselves. This in turn means that roles and responsibilities between families will be varying. 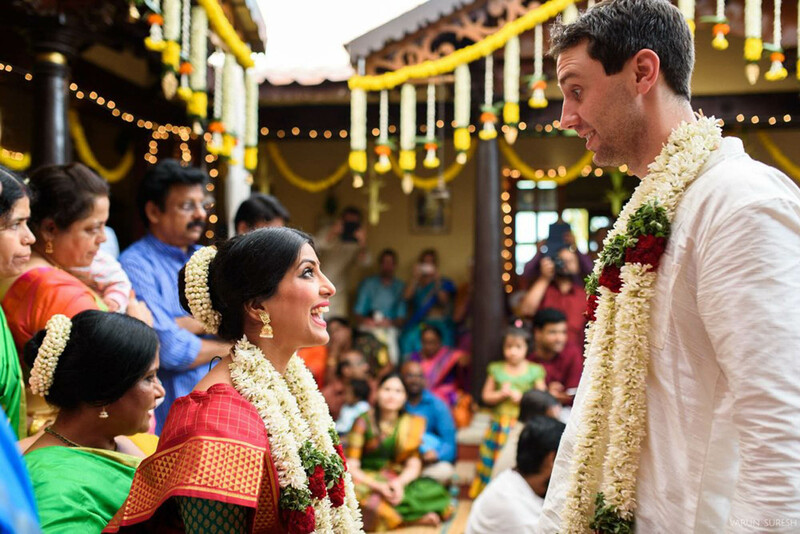 Indian weddings can often be a complicated affair and decisions need to be mutually agreed upon prior to the wedding day. Each side will most likely be responsible for their own pre-wedding puja’s and religious rituals and any other additional functions. A bride and groom relies heavily on their families for support, so keep all communication clear from the word go! Prior to your wedding occasions, your tribe must coordinate and keep things super organised. We rely heavily on the support and love from these people, so never lose focus and delegate accordingly. Supposing you don’t hire the services of a wedding planner, then this where your trusty wedding party will come to the rescue. There’s no limit as to how many people you choose to be a part of your wedding party and whether or not you opt for bridesmaids or groomsmen is entirely up to you. Be sure to share your ides, decision making and workloads between everyone, but in particular your partner. What are your thoughts on delegating tasks to your wedding party? We would love to hear if you’d change anything! Let us know in the comments feed below. 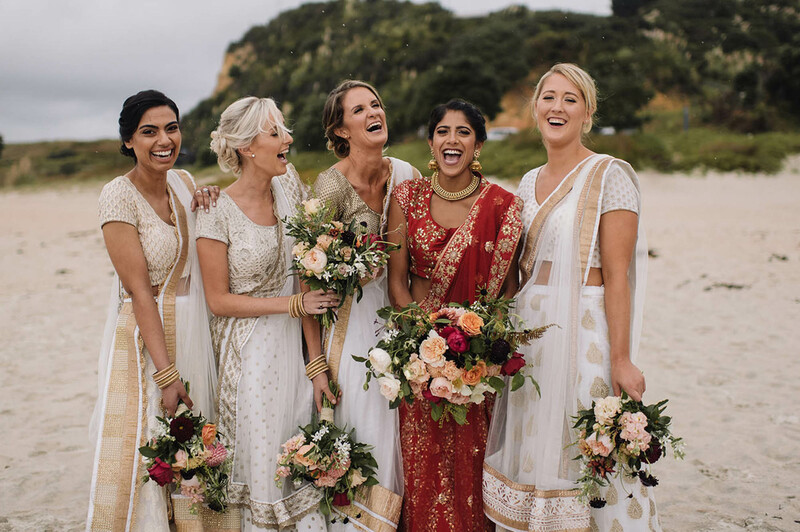 *Images from top, Nisha Ravji Photography via Green Wedding Shoes, When He Found Her via Style Me Pretty, Varun Suresh, Our Labor Of Love via The Knot, Bridelan India and Anuraag Rathi Photography via The Maharani Diaries. Cover image via Knotty Days.